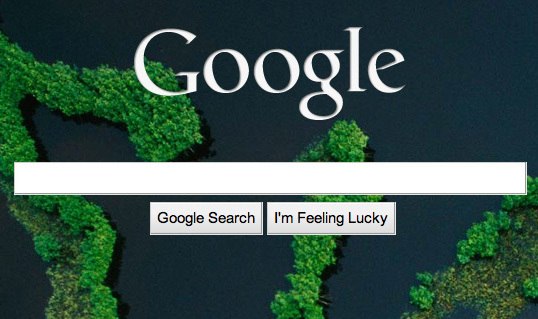 Google's new homepage! BP's next PR problem. I wonder what Google’s take on the oil spill is… Maybe the same as President Obama’s? Update: Google was rotating a number of photos around, and the internet at large revolted. So what happens? Google ends their 24 hour experiment early.